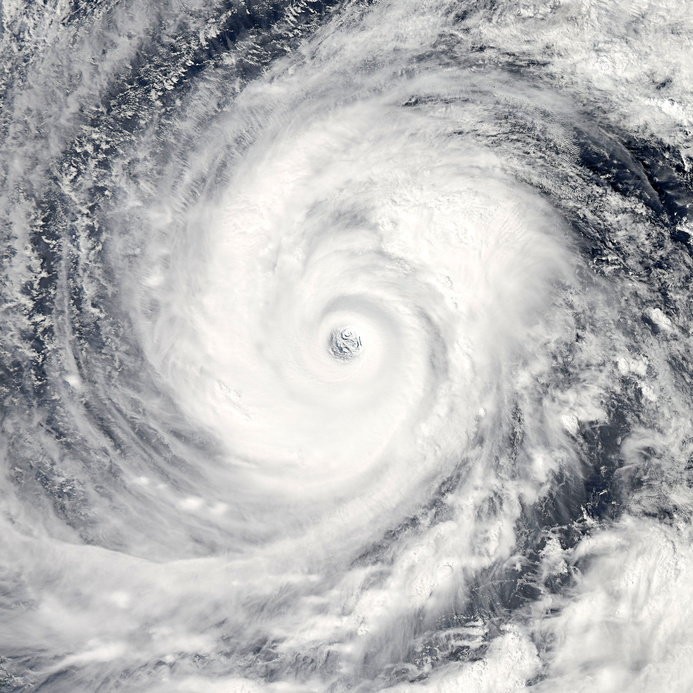 As hurricane season ramps up and the United States experiences the first major hurricane for the year, it’s a great time to remember some of the lessons learned by past disasters. One of the biggest lessons is the way natural disasters affect people with disabilities. Whether you expect to get overrun by the storm, typically experiencing issues like flooding or extreme wind or you just expect to be without power because a major power plant was in the path of the hurricane, knowing what you can take and what you can’t is very important. For people with mobility based disabilities, it can be a struggle to leave before a storm, let alone find a place to stay. Others with invisible disabilities may struggle to evacuate for different reasons. The fact is a lot of the time people with disabilities don’t evacuate. As previously mentioned you may need to take into consideration the impact of the storm on your region. During Hurricane Irma in 2017, an elderly care facility lost power as a result of the storm. They didn’t flood and nothing was destroyed by hurricane force winds but because they had lost power they also lost their air conditioning. As a result, 12 residents succumbed to heat exposure and died. These deaths were ruled a homicide. 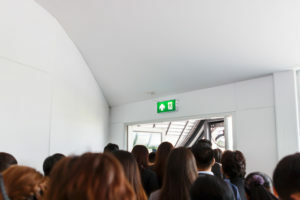 Having proper steps in place to secure your facility from disaster, including evacuation procedures for people with disabilities, can save you a lot of heartache. 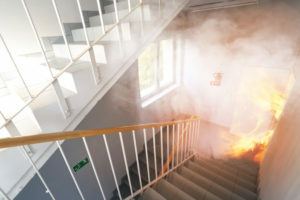 FEMA has a document outlining the kinds of things you need in case of an emergency evacuation. That document includes detailed information on the evacuation of people with disabilities. Getting an evacuation chair is a great start. What’s really important is figuring out how to manage transportation in an emergency and communication with rescue workers. If the person’s disability includes communication difficulties, you will need an alternative communication method. You may also want to have a medical alert system in place, potentially with pre-documented medicinal needs. For more information go to FEMA’s disaster preparedness article. A lot of people get confused by service animals. Service animals are not pets. There may be some struggle finding an evacuation shelter that takes pets but all shelters accept service animals, in accordance with the American Disabilities Act. If you have trouble getting your service animal into a shelter make sure they understand that it is NOT a pet. 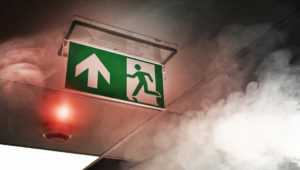 It is important for all businesses to review the emergency evacuation policies. Policies can tend to overlook the people with disabilities. In 2012 the state of Maryland conducted a survey and found that nearly 600,000 residents identified themselves as having a disability. Policies like stocking an evacuation wheelchair for people with mobility concerns. An evacuation wheelchair can move people down stairs with ease. These amazing handicap chairs for stairs help save lives every day. Whether you call it an EMS chair or a rescue chair, an evacuation wheelchair is important for every business’ emergency plan.